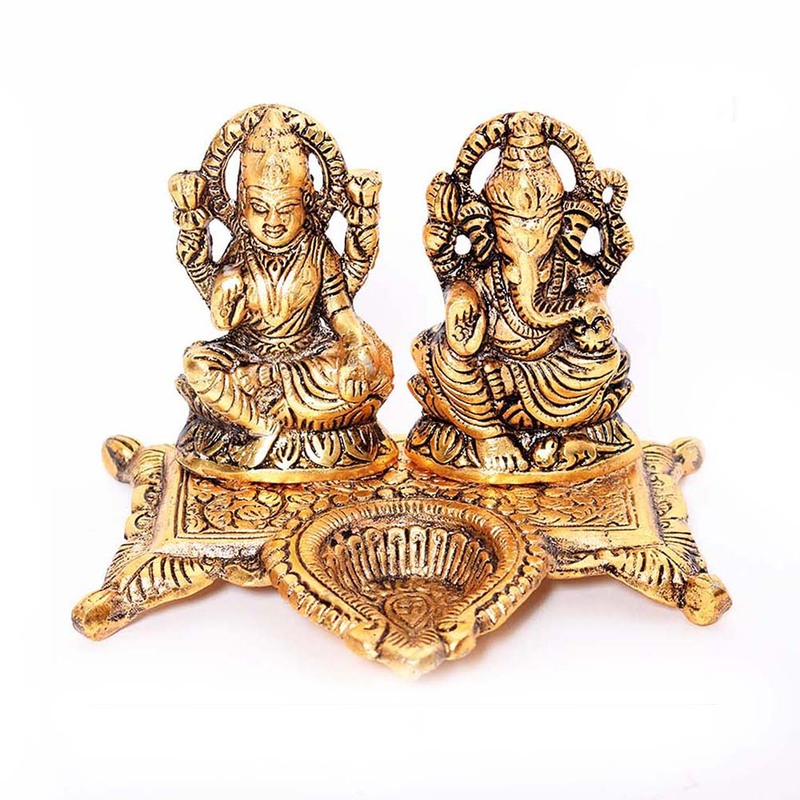 Golden colour oxidised metal figurine of lord Ganesh and goddess Laxmi with a diya attached to the pedestal. This showpiece comes with dual figurines of lord Ganesh and goddess Laxmi. The oxidised metal used to sculpt this showpiece is of the highest grade. Read More..This ensures that the quality of the product does not get compromised with the passage of time. The diya attached to the base of the pedestal makes it multifunctional. This can either be used as a showpiece to add to the décor of any household, or can be used as idols for puja itself. Show Less..